Bill McCarthy is headed to New York City to share a warning: change is coming. It’s coming to the accounting industry, to be exact. And it’s in the form of what is called blockchain, which has the potential to do to accounting what the Internet did to traditional media, the airline industry did to railroads, and the light bulb did to darkness. 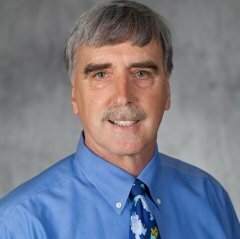 McCarthy, a professor of accounting and information systems at the Broad College of Business since 1978, will be speaking at the Thursday, May 17, conference of the Accounting Blockchain Coalition (ABC) – of which McCarthy is a board of directors founding member – about change some feel is iffy but that McCarthy believes is certain. Today, blockchain is an accounting procedure associated with cryptocurrency like Bitcoin. But its potential use goes far beyond that. Traditionally, financial transactions must be recorded and processed by third parties, like banks, which may cost time and money. With blockchain, the middleman is cut out of the loop, as transactions are electronically recorded in a shared information cloud with unalterable “blocks” documenting a specific transaction, and a chain of blocks serving as a long-view distributed repository. McCarthy believes blockchain could shift accounting from being reliant on internal data to shared external information sets. That could radically change what accountants do, how they do it, and in what areas they are relevant. When modern societal organization is based around transactions of all kinds, that’s potentially a big deal. “There’s a lot of tax considerations. For auditors, there’s an awful lot of things about internal controls, and the issue that I’m the biggest on is the connection between the blockchain and current technology in enterprise systems, the systems that run companies,” he said. Right now, “blockchain is the Wild West. Nobody knows what’s going on,” McCarthy said. ABC isn’t trying to appoint rules to blockchain, but is is trying to get stakeholders aware and involved. At the conference, “I’m going to keep my eyes and ears open for ideas, but it’s not about a question of what I’m going to bring back, but what I hope to plant in the minds of the audience members in the session that I’m on” regarding change, McCarthy said. He argues that change should be radical and the industry should be fully embracing blockchain-related change, and not “the path of least resistance … the easiest way to go” as legacy industries may do. ABC, established just this past April, is comprised of industry leaders in accounting law, tax, technology, and higher education, according to McCarthy.